Television footage showed plumes of smoke rising above the destroyed police building in Elazig. The force of the blast blew out nearby cars, uprooted trees and left a large crater outside the building. 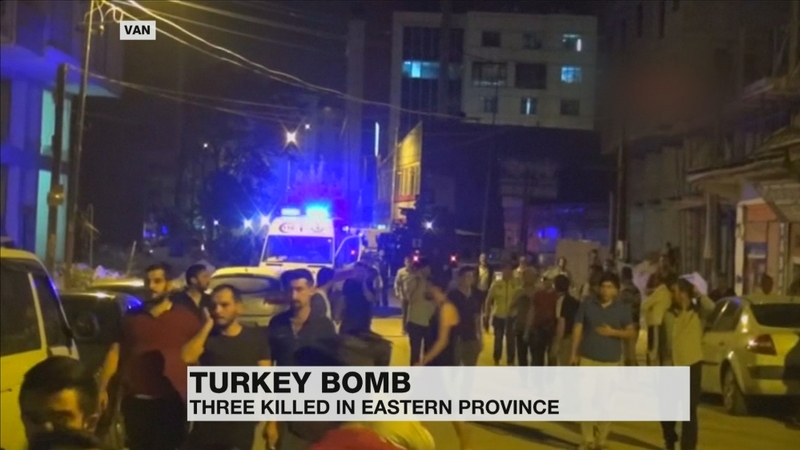 At least eight people were killed in two attacks on police vehicles in nearby Diyarbakir and Kiziltepe last week. Since last month's failed coup in Turkey, there has been much talk of national unity. 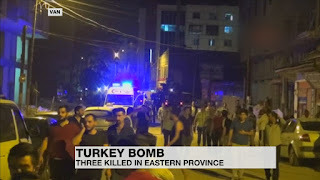 But this has not included the pro-Kurdish political party which the Turkish authorities say supports the PKK, reports the BBC's Turkey correspondent Mark Lowen. The pro-Kurdish HDP denies any link to the militants.